The image shows Japonica, also called Asian Scale, on King Sago palms here in Naples. 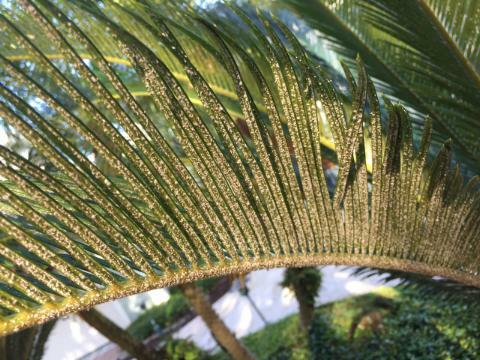 This is a rather common problem for King and Queen Sago palms in Southwest Florida and we can fix this issue for you with our landscape pest control services. Call us at 239-435-0196 for a free consultation and estimate. Visit our lawn fertilization services information page for more about our Naples area landscape pest control services.